A newly designed, crate-free 3,000 square foot play area in Midland Park, NJ. We'll love your dogs the way you love your dogs. At Ruff House Doggie Daycare, safety is our number one priority. Our focus is to ensure the security and health of your dog while providing a day filled with fun and activities. 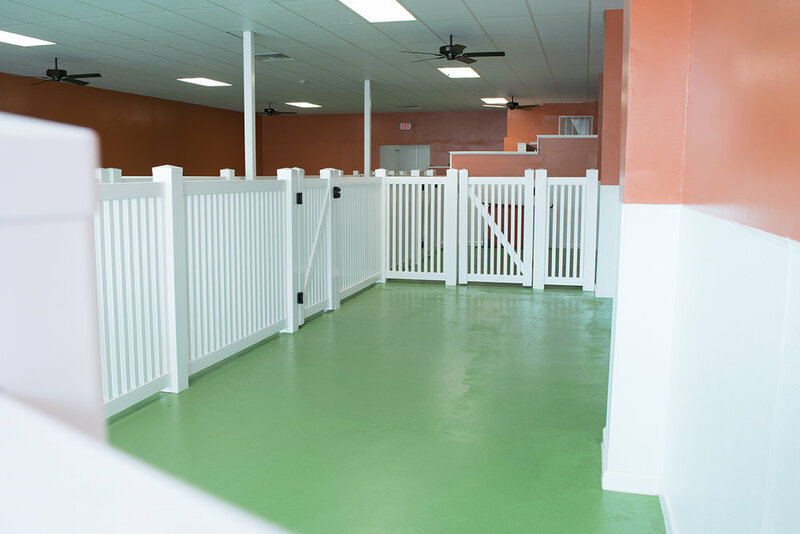 We are a newly designed, crate-free 3,000 square foot play area centrally located at 27 Central Avenue Midland Park, New Jersey but also servicing the surrounding area of Ridgewood, Ho-Ho-Kus, Waldwick, Allendale, and Hawthorne. 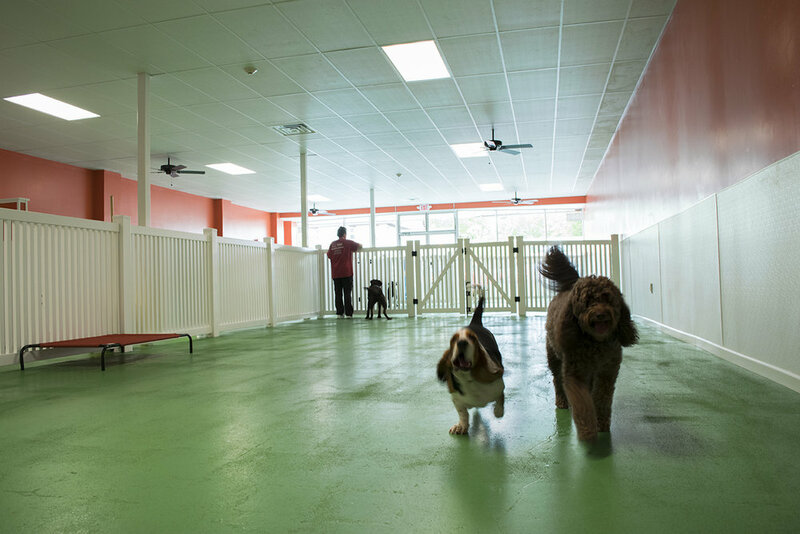 All dogs must be up-to-date on their vaccinations and pass a behavioral evaluation assessment before being accepted to Ruff House Doggie Daycare. The following vaccinations are required: Bordetella, Rabies, and Distemper. Ruff House Doggie Daycare’s hours of operation are Monday - Friday 7am - 7pm and Saturday hours by appointment. Like what you see? We've got plenty more pictures on our gallery page! 27 Central Avenue Midland Park, New Jersey 07432.